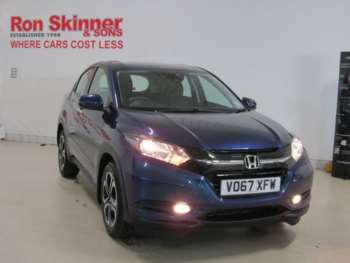 If you need a compact SUV that is a little bit different from the rest, you’re going to love our range of used Honda HR-Vs. This car is a popular choice from the Japanese manufacturer, and is well-built, fun to drive and looks fantastic on anyone’s drive. The high driving position gives you a more imposing feel on the road, making it more than your average family run-around. The quirky and appealing design goes down a treat and with so many used models to choose from, you can find one of these impressive cars for a much smaller price tag. The Honda HR-V is all about style, reliability and versatility. You can expect a practical car that has longevity and build quality on its side. Plus, Honda is well-known for their great engines, so you can also expect to get a great engine with yours. For gadgets and extras, you can browse through the different used Honda HR-Vs for sale at RAC Cars, to find the perfect car for you. The Honda HR-V is very good fun to drive with direct steering and decent grip. It feels right at home on the tarmac and it certainly feels exciting when you get behind the wheel. 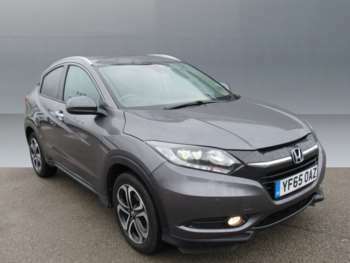 The automatic gearbox is better suited to town driving, although any variation of the HR-V can handle short distance urban outings as well as longer stints on the motorway. Overall, this model offers a great driving experience you’re sure to enjoy. Got a specific Honda HR-V model in mind?